This section will be a how to do the little extras and garnishes that add panache to your meals. We hope that you will give things a try and hope that you will like making the little additions that make mealtime special. 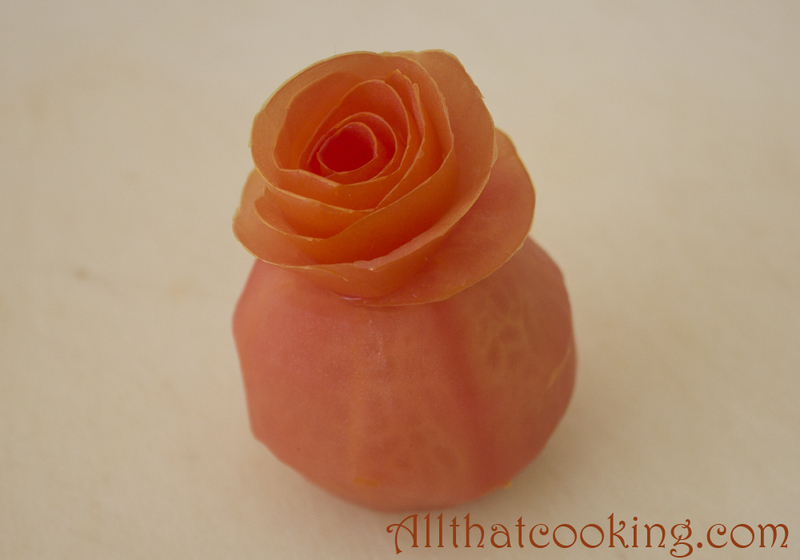 We are happy to start this blog addition with how to make a tomato rose. Very simple to make. Just think about peeling an apple! 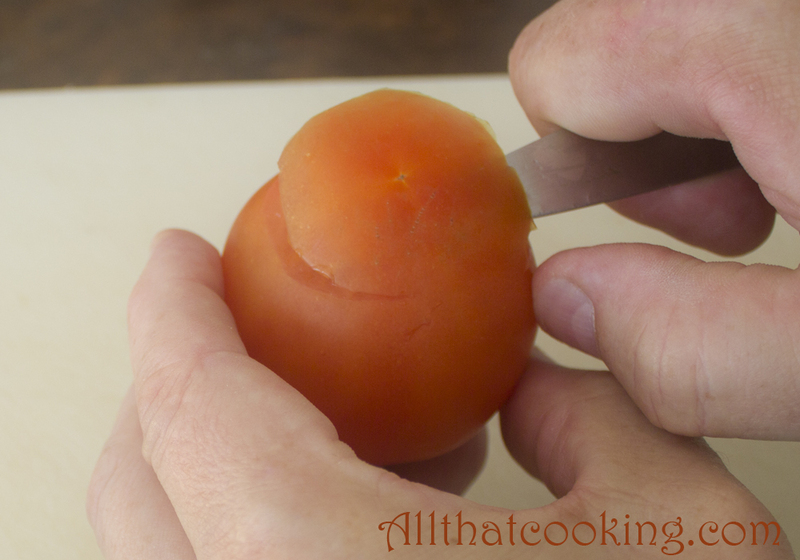 There are two important things to success: a very sharp knife and a very firm tomato. 1. 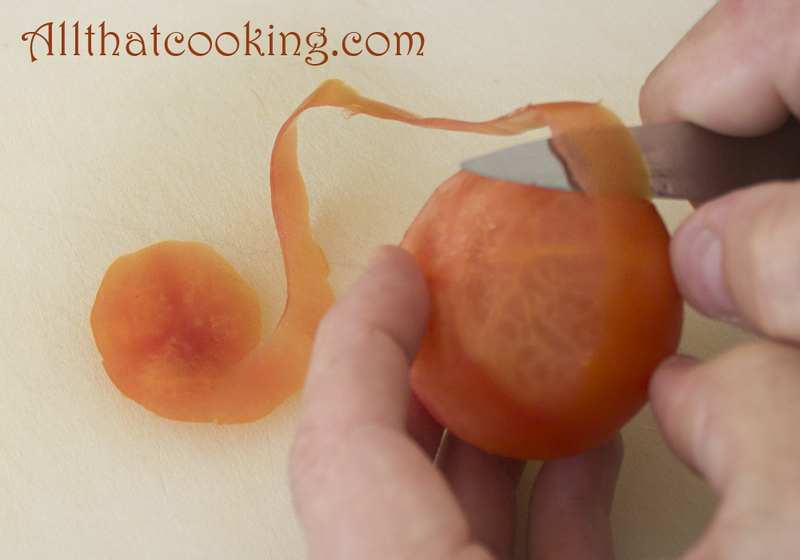 Make the “seat” for the rose by cutting a thin round from the bottom of the tomato. Do not cut it off. 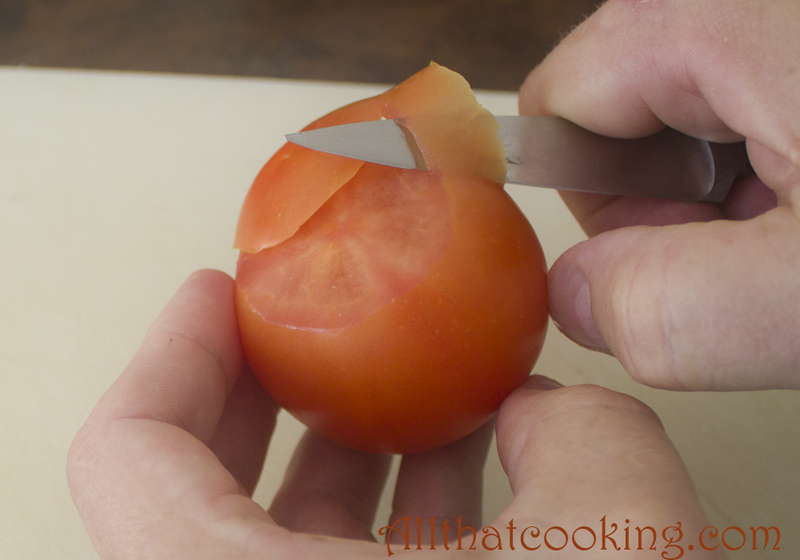 You will continue to peel the tomato with the seat attached. Your aim is to have one long, intact peel. It is important to peel the skin as thinly as possible. If it is too thick, it will be difficult to form the rose. 2. 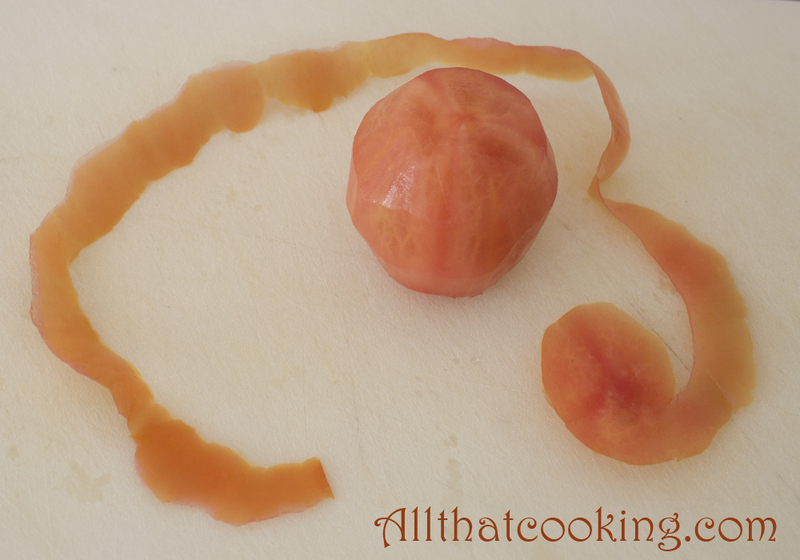 When you have peeled the entire tomato, lay the peel on a flat surface, skin side down. Take the small end and simply start to roll. Do not hold the peel tightly, it is delicate. 3. 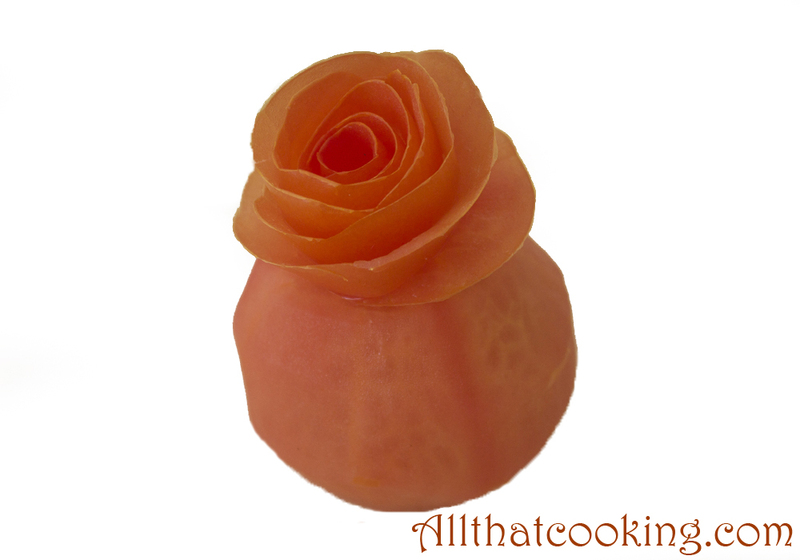 Roll the entire peel and the arrange the rose on its seat. 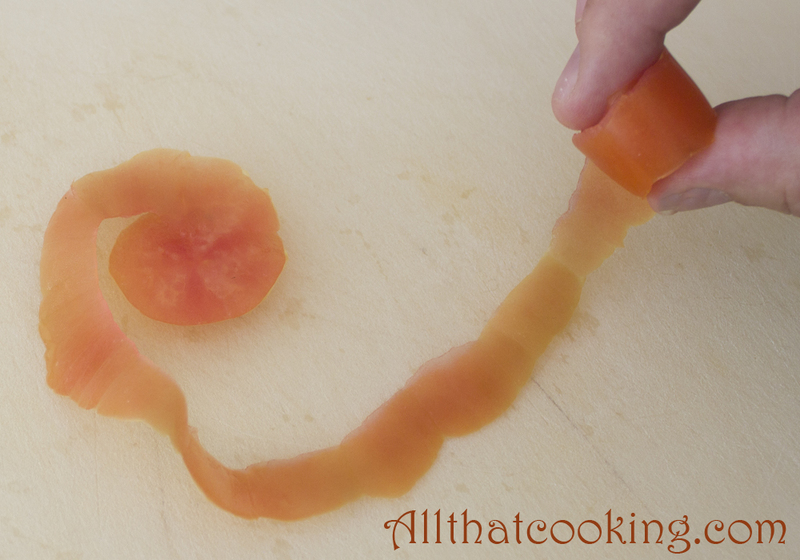 You can make a rose out of apple peels even nectarine peels. Experiment and have fun!